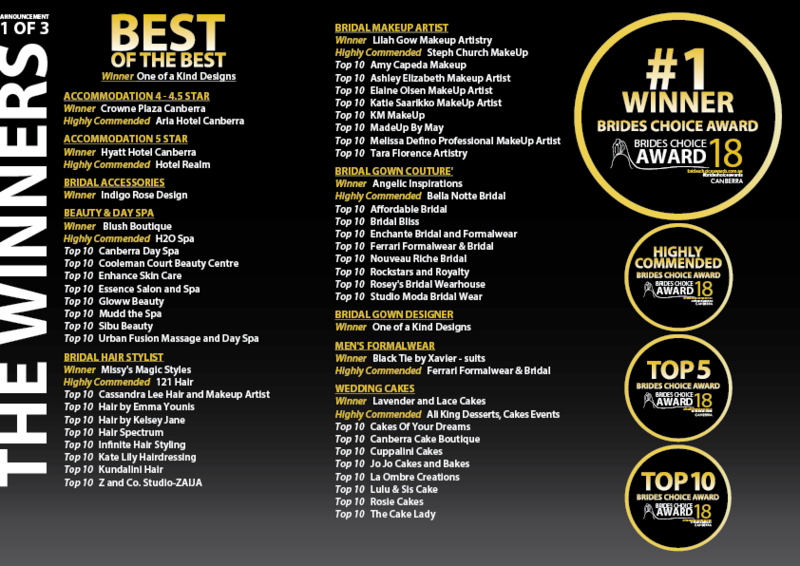 Congratulations to all of our category winners from Illawarra & South Coast Brides Choice Awards 2018. 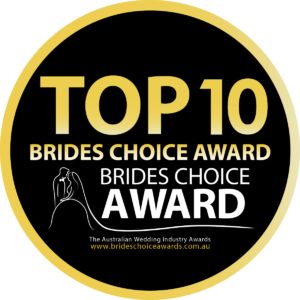 Congratulations to all of our category winners from Yarra Valley & Dandenong Ranges Brides Choice Awards 2018. 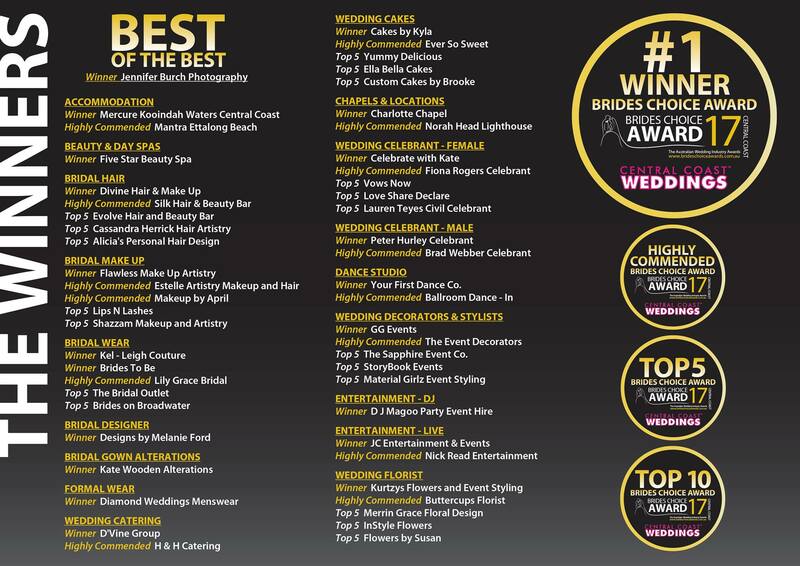 Congratulations to all of our category winners from Central Coast Brides Choice Awards 2018. 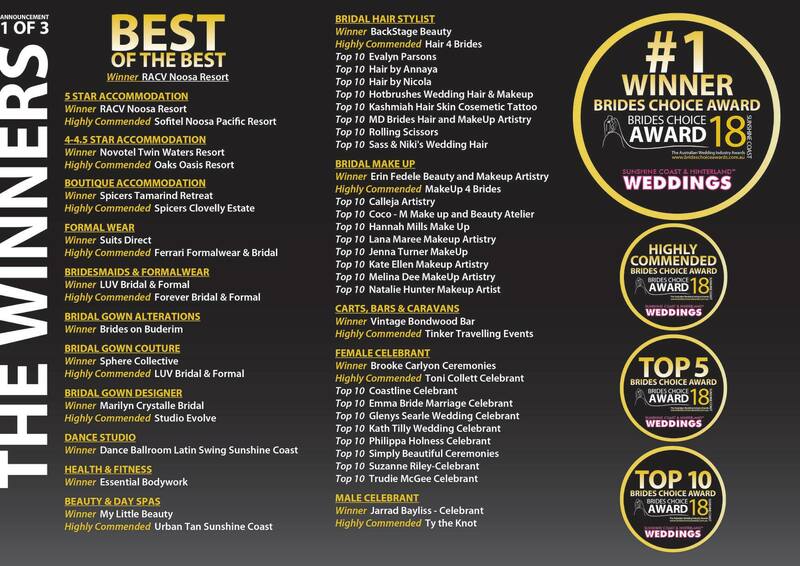 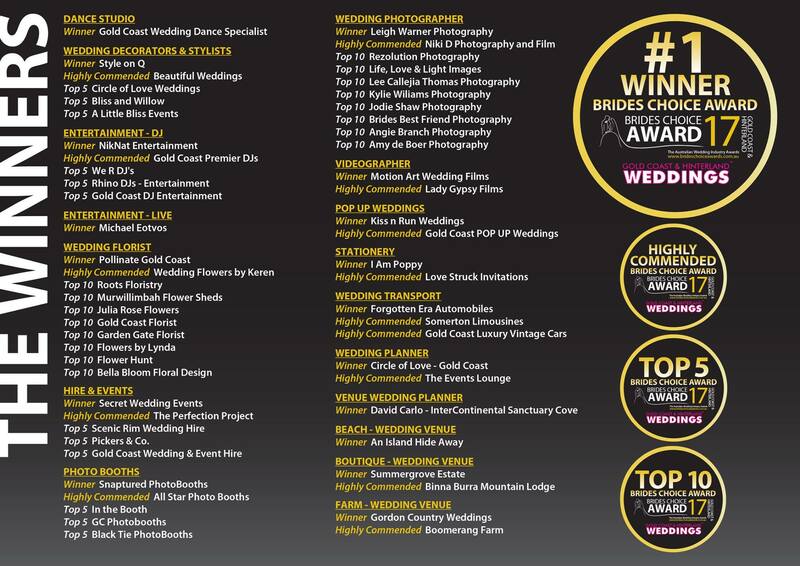 Congratulations to all of our category winners from Gold Coast Brides Choice Awards 2018. 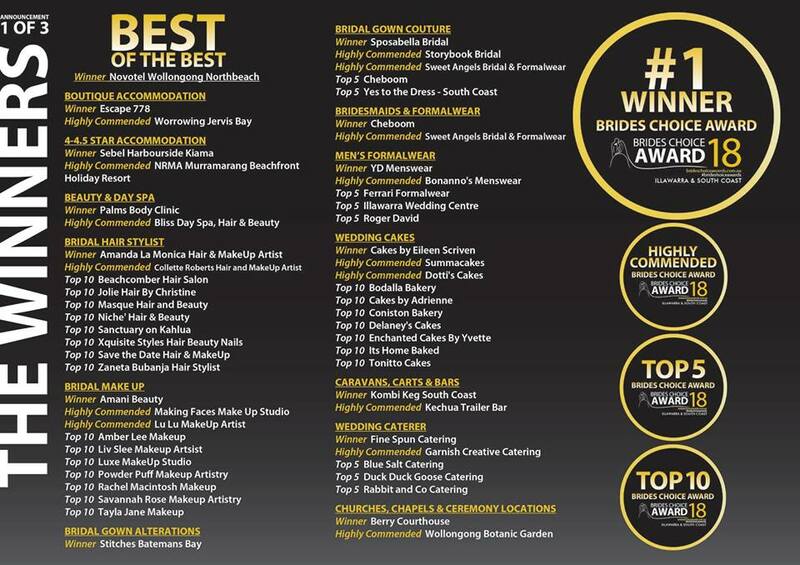 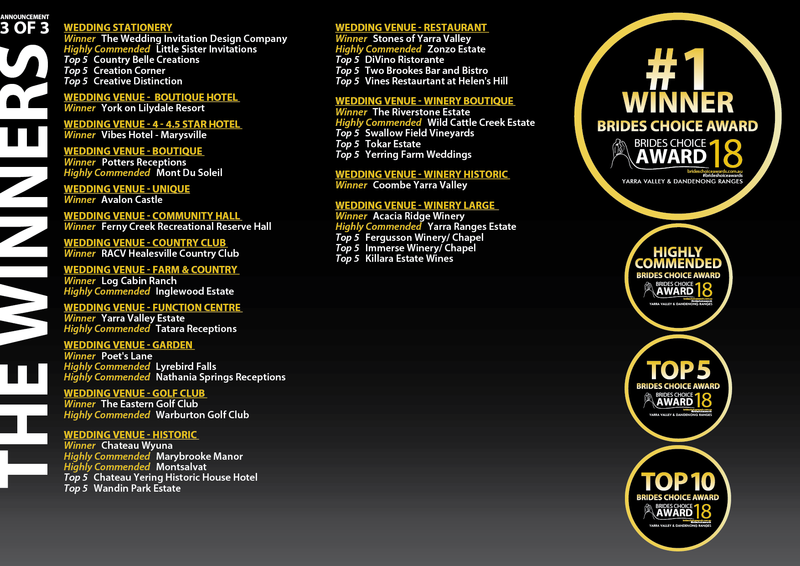 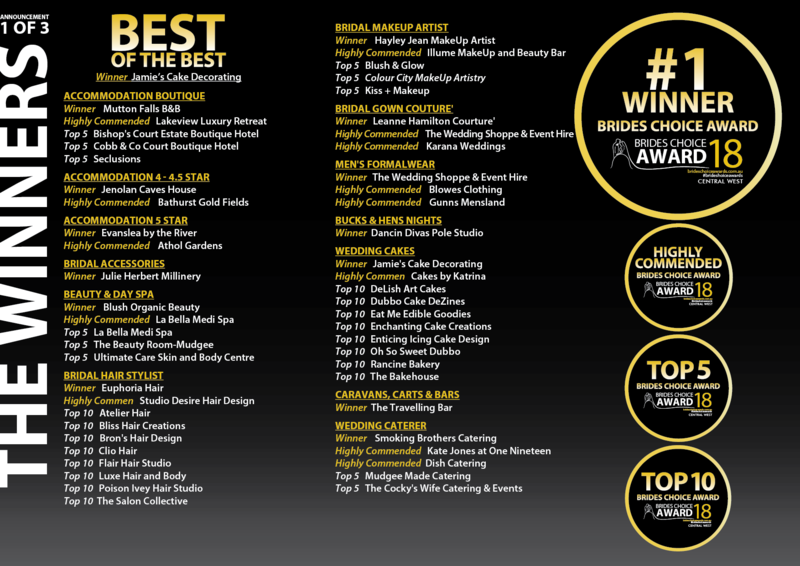 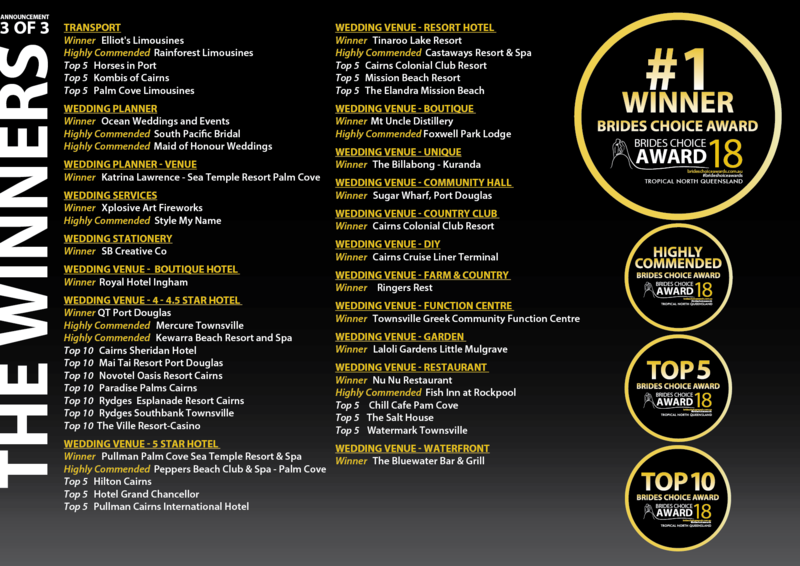 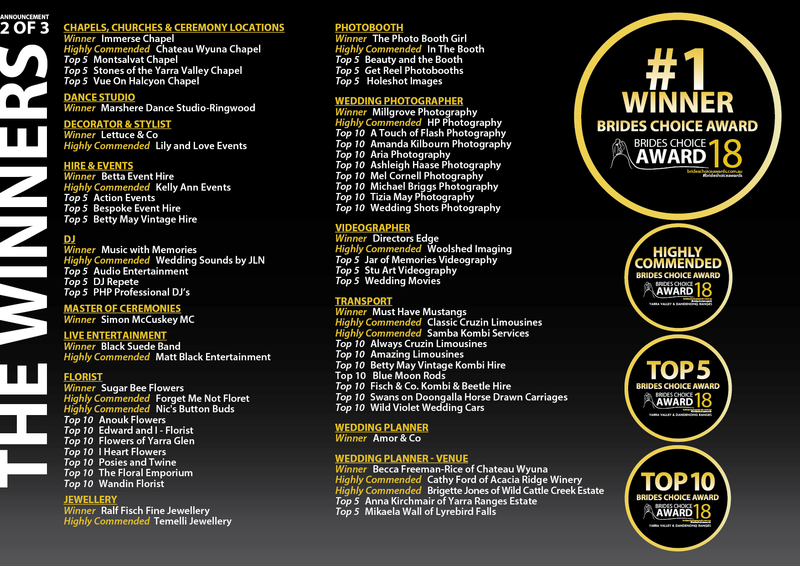 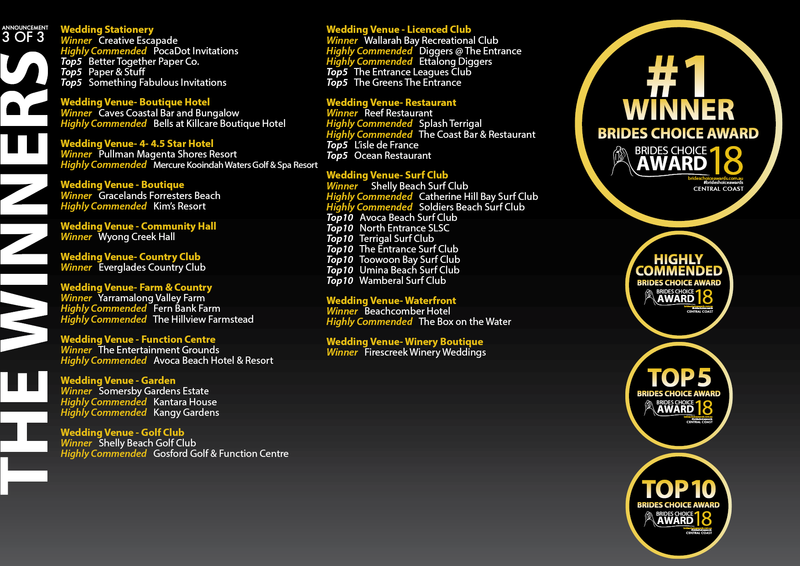 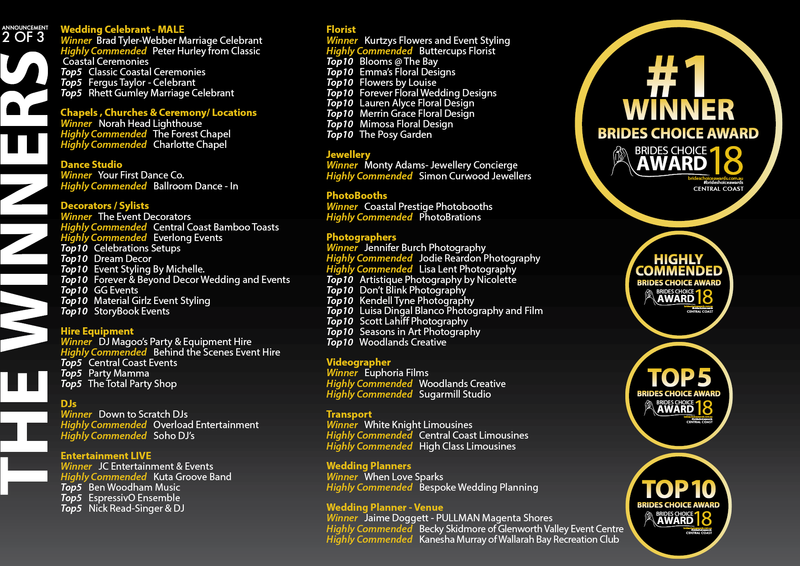 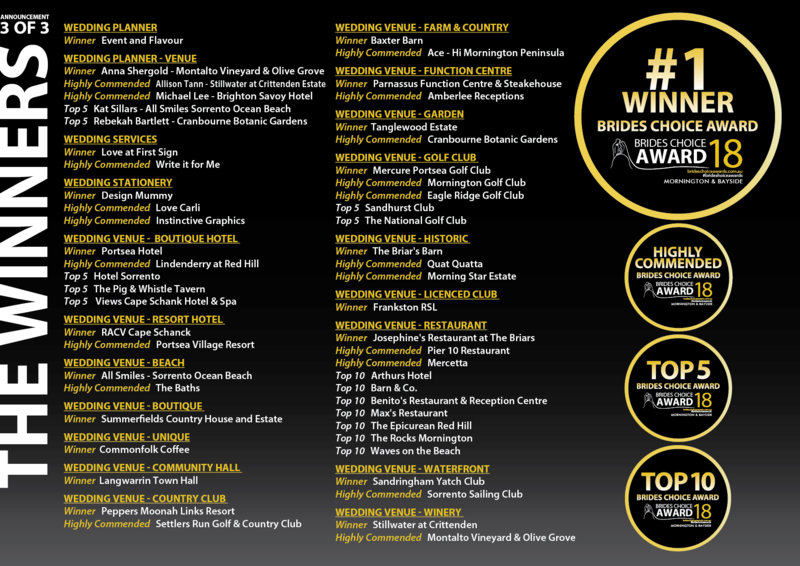 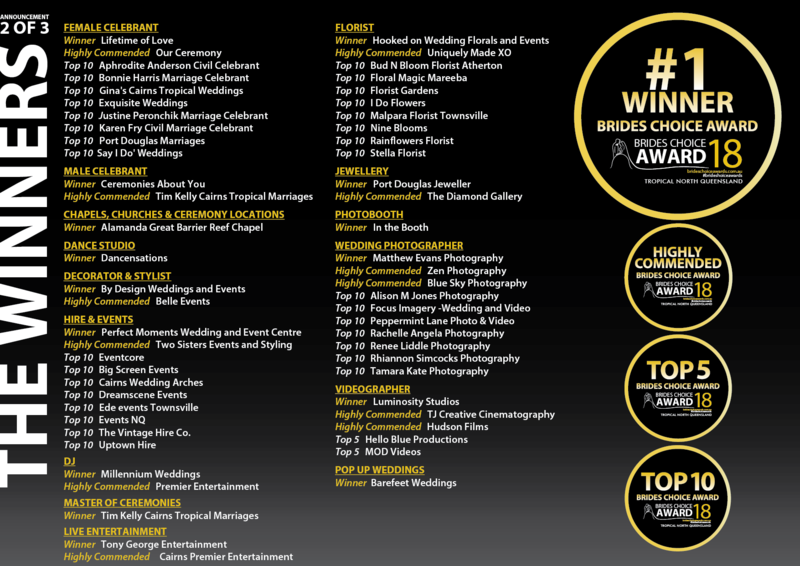 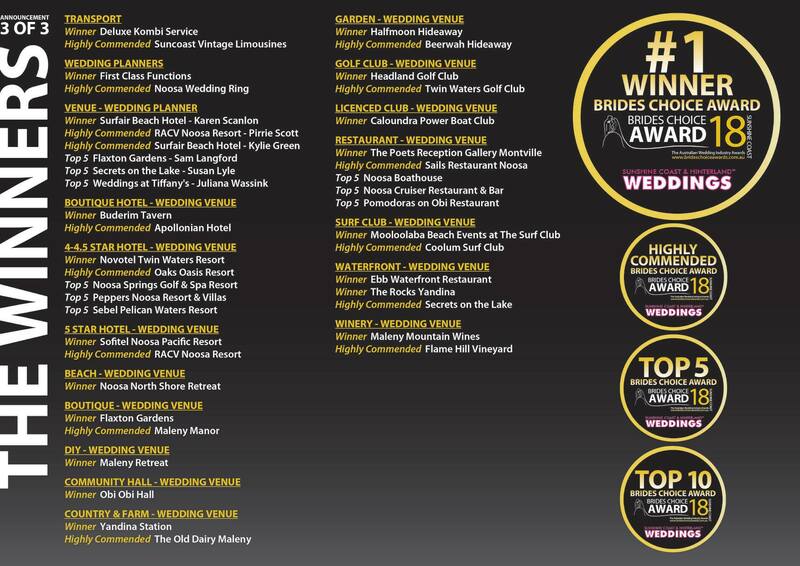 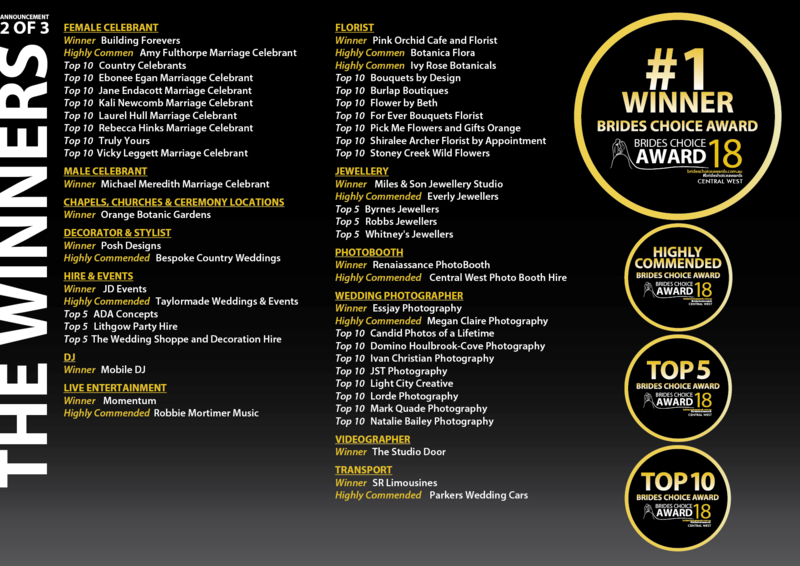 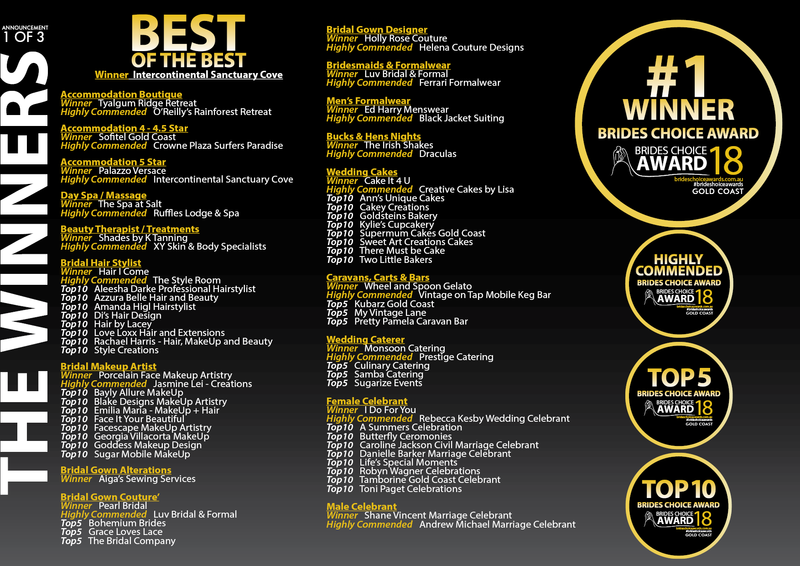 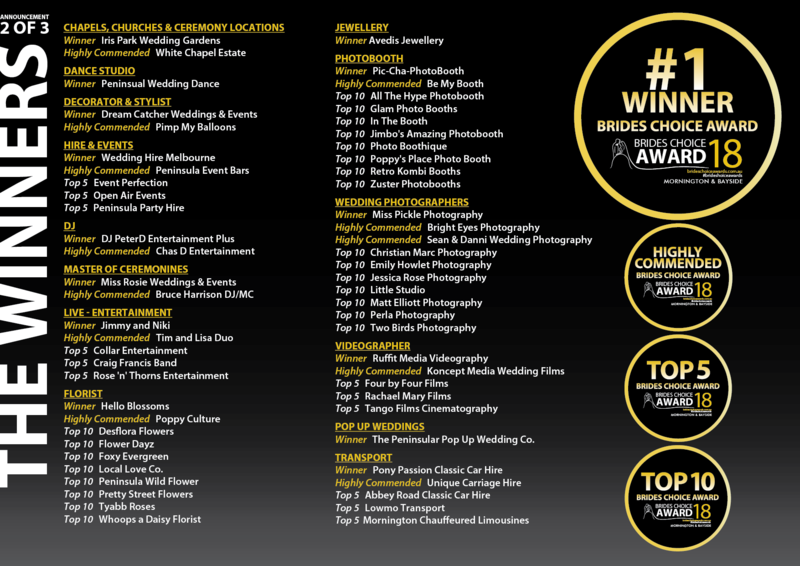 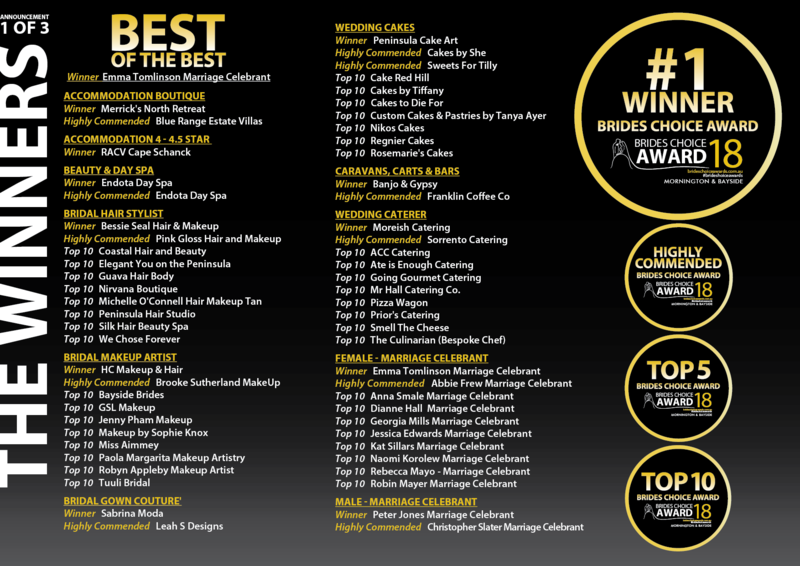 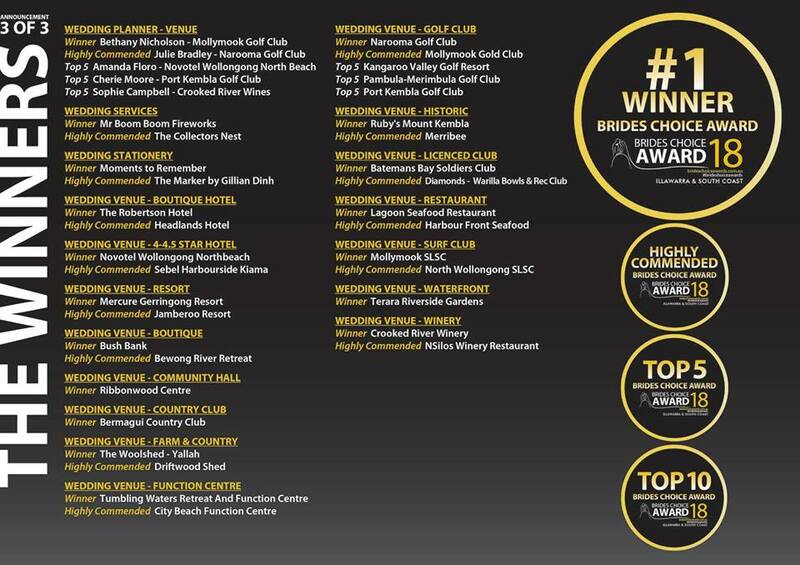 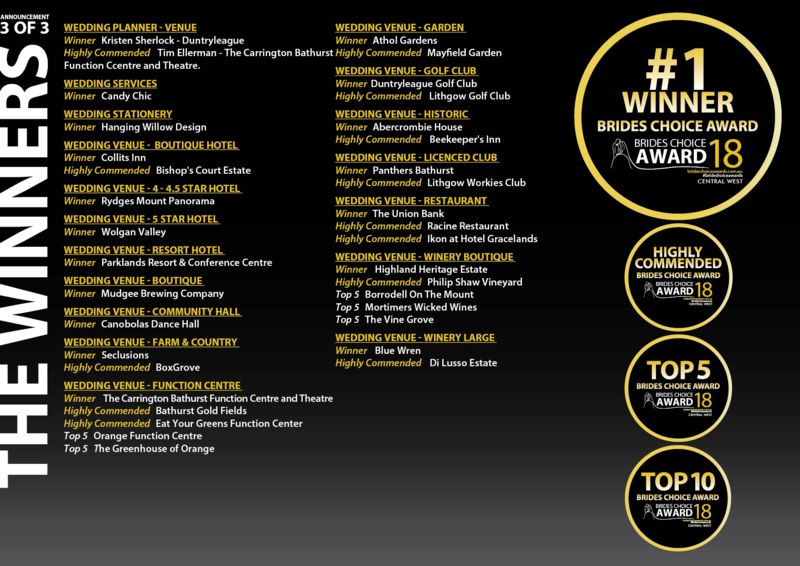 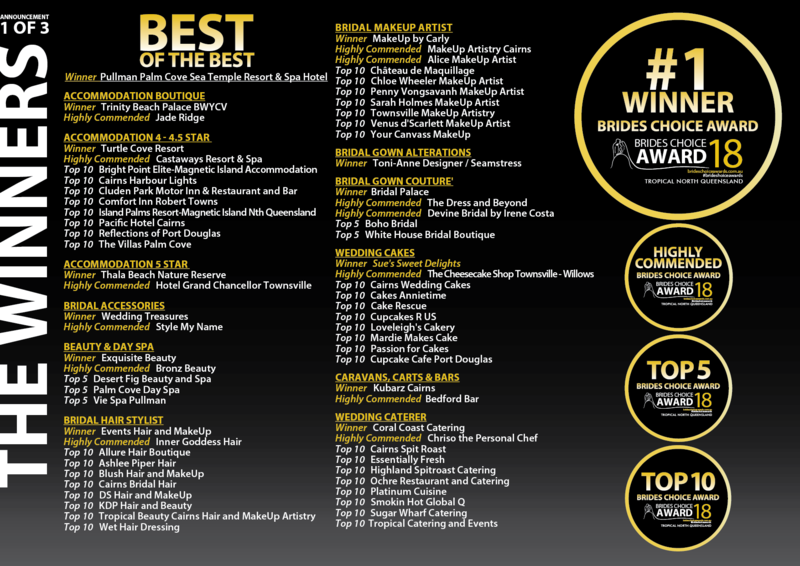 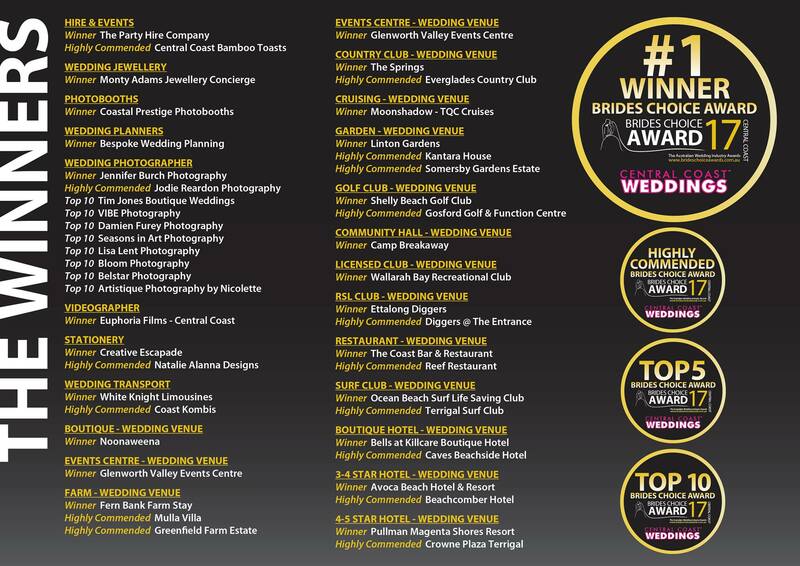 Congratulations to all of our category winners from Sunshine Coast Brides Choice Awards 2018. 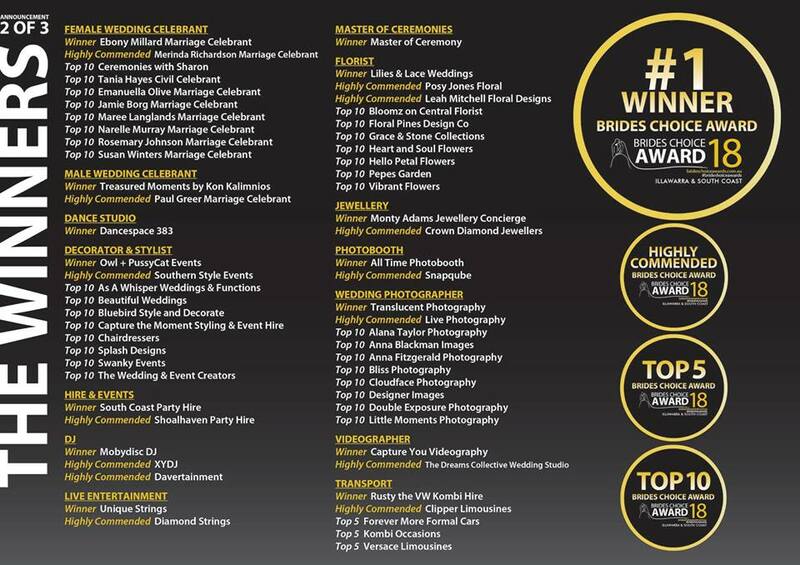 Congratulations to all of our category winners from Western Sydney Brides Choice Awards 2018. 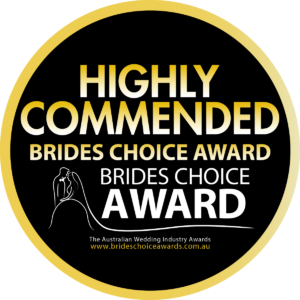 Congratulations to all of our category winners from Canberra Brides Choice Awards 2018. 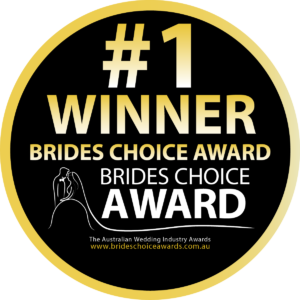 Congratulations to all of our category winners from Mornington Bayside Brides Choice Awards 2018. 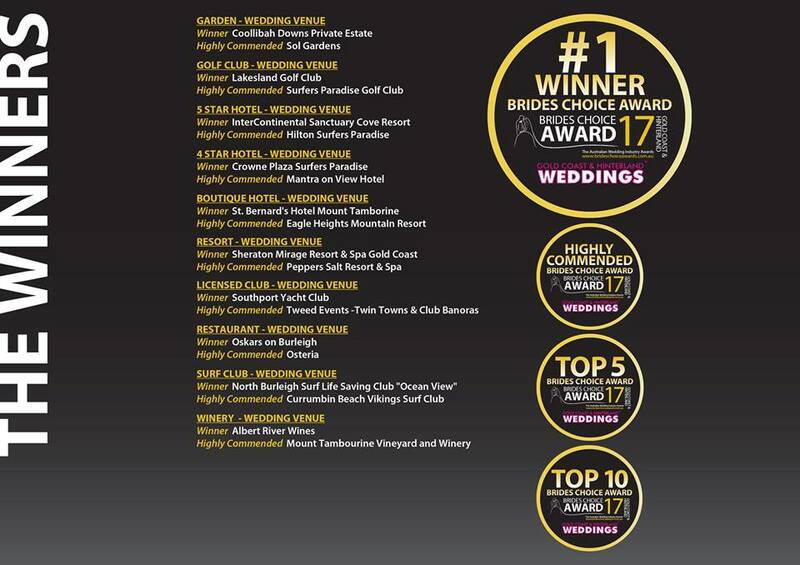 Congratulations to all of our category winners from Tropical North Queensland Brides Choice Awards 2018. 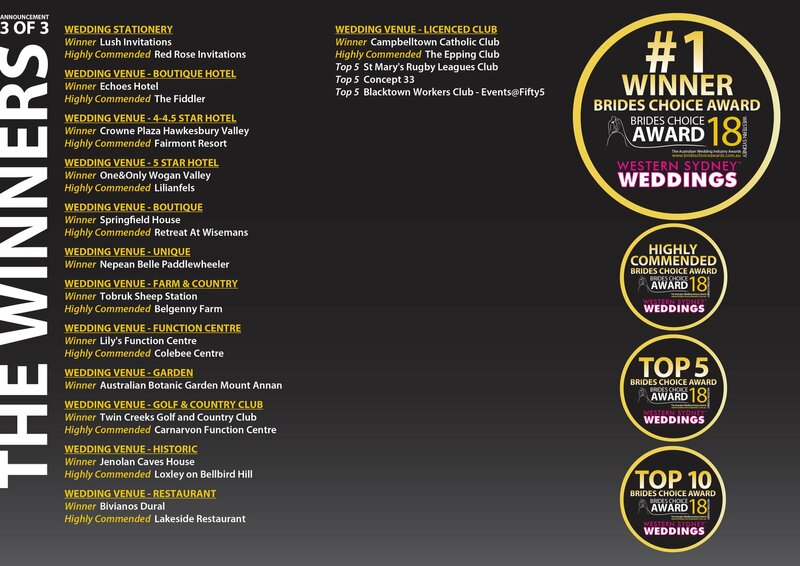 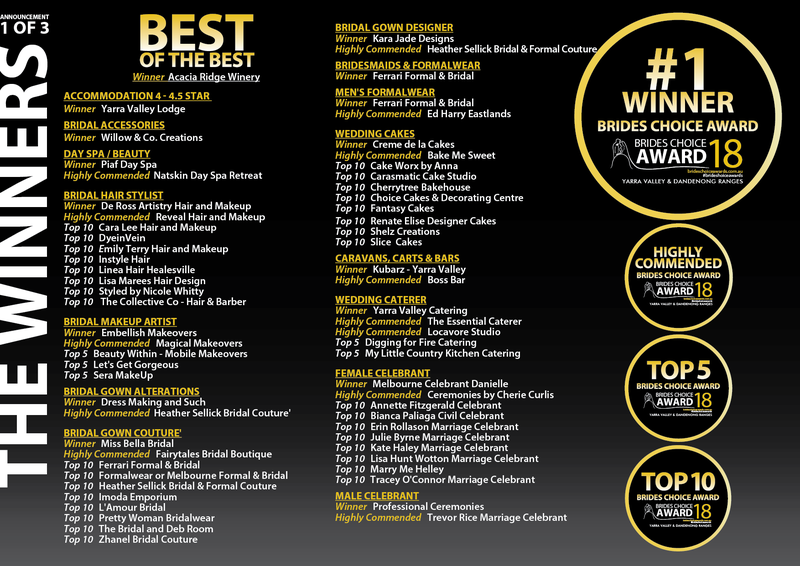 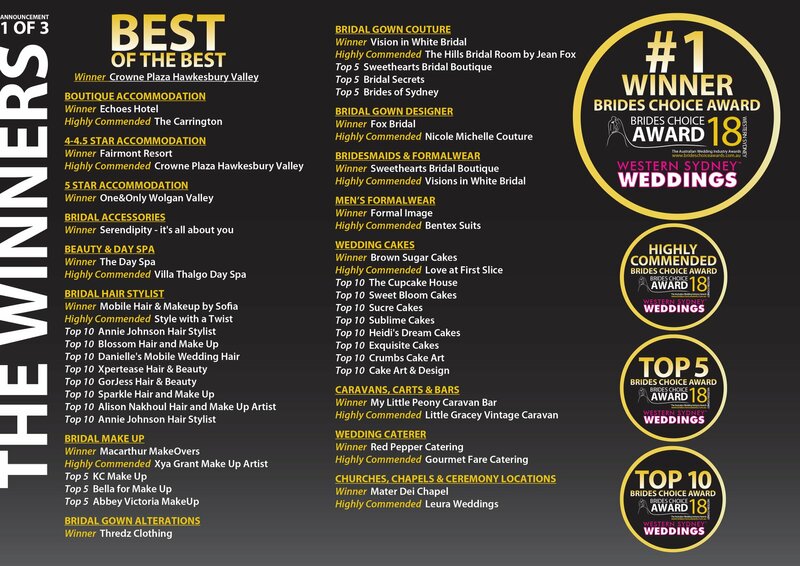 Congratulations to all of our category winners from Central West Brides Choice Awards 2018. 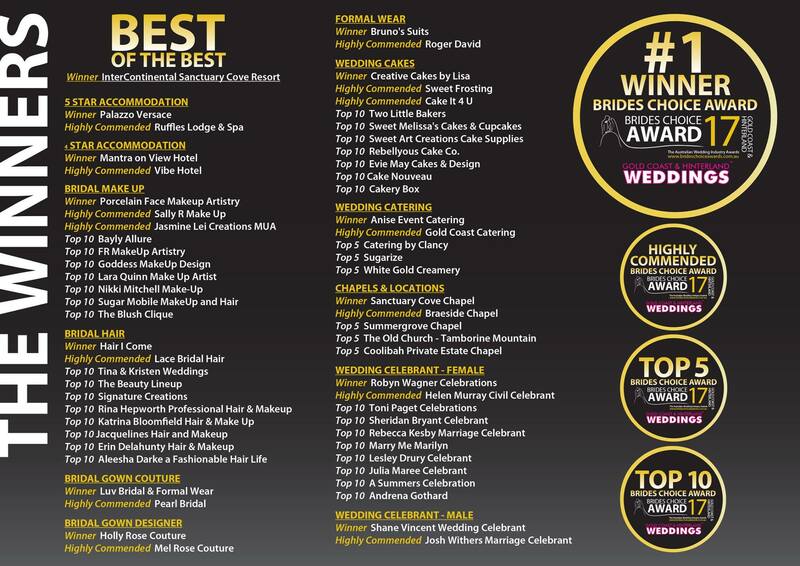 Congratulations to all of our category winners from Central Coast Brides Choice Awards 2017. 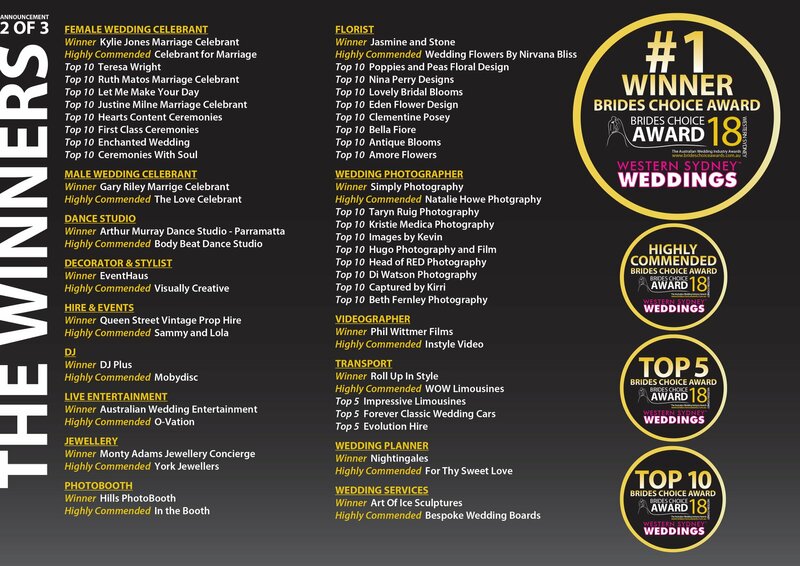 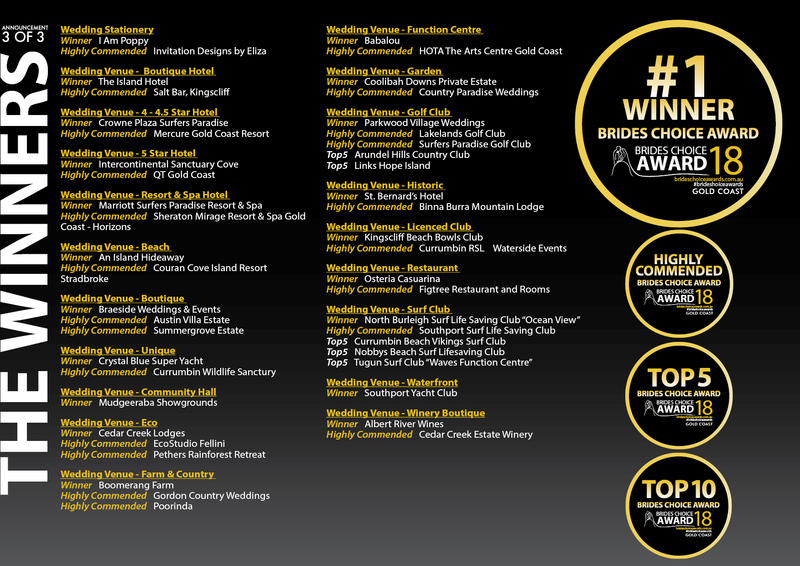 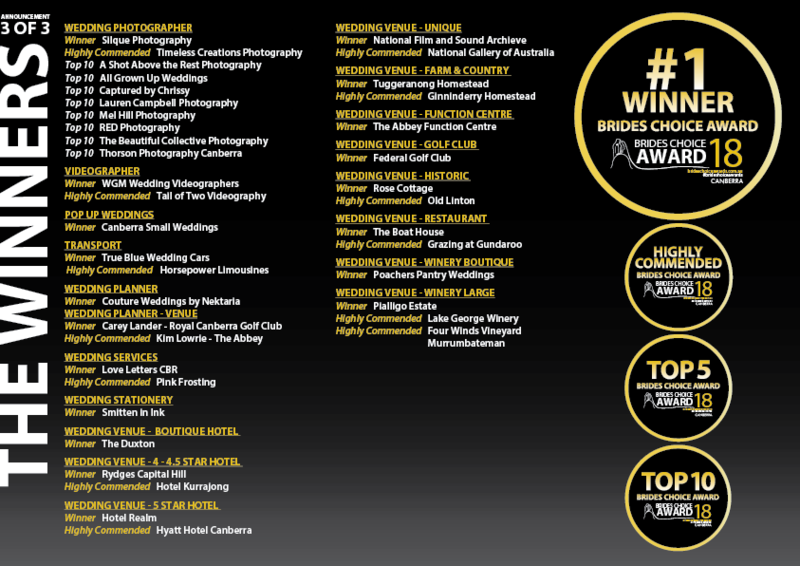 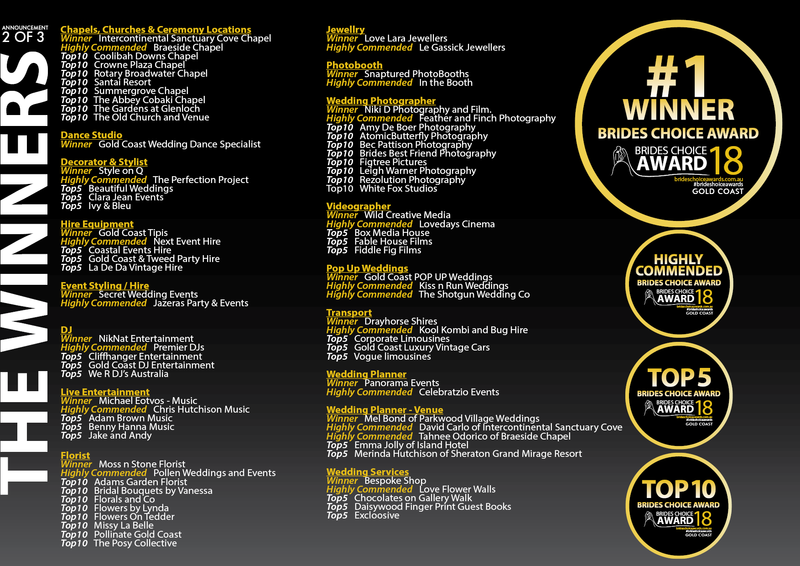 Congratulations to all of our category winners from Gold Coast Brides Choice Awards 2017. 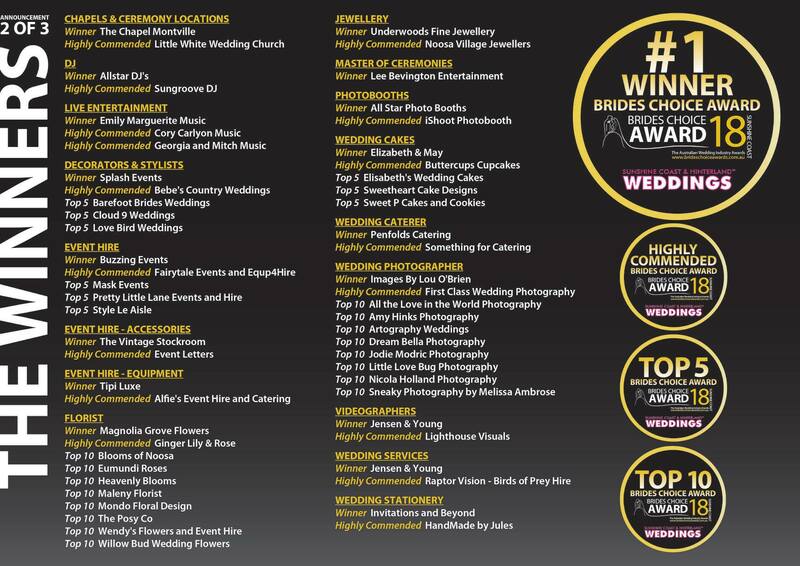 We always award TOP 10, TOP 5, Highly Commended and WINNER where practical.